Have you ever met someone who is just inches outside of your circle of friends and acquaintances and you feel as if you should know them, but you haven’t had a proper conversation quite yet? That’s how I felt with Cortney and Dereck! We have so many mutual friends and probably have been in the same room a handful of times, but never had a chance to talk. 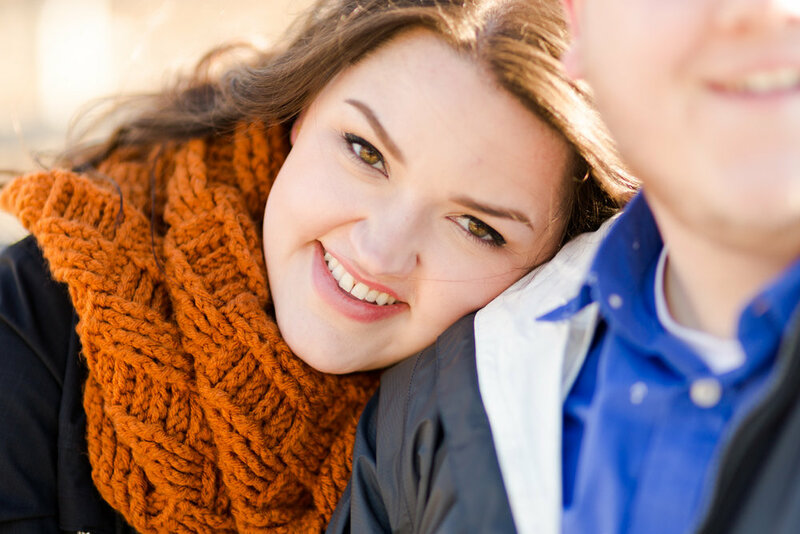 So when Cortney asked to shoot her wedding in Stoughton, Wisconsin this May, I was ecstatic!! 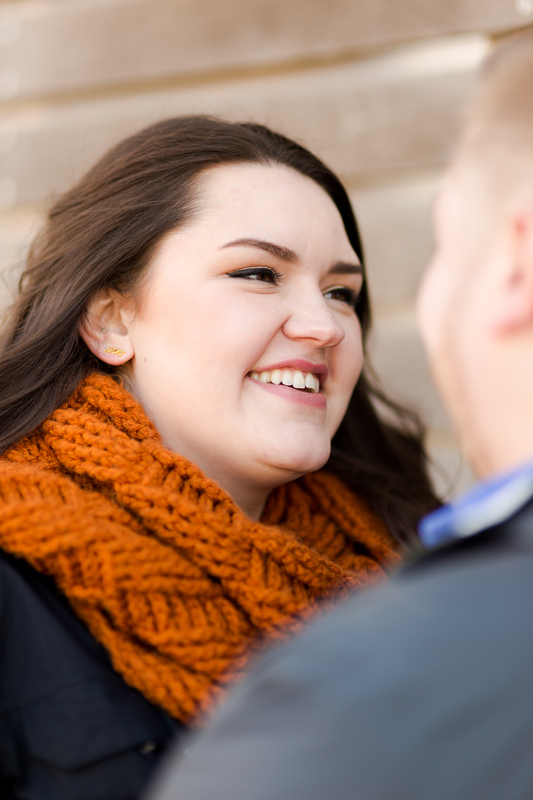 Cortney specifically requested using downtown Milwaukee as the backdrop for their engagement photos, so we started by exploring the city- alleyways, the Riverwalk area, and those gorgeous worn down brick walls that are basically everywhere in the city. After the city, we made a quick trip over to Lakeshore State Park that’s right on Lake Michigan (it’s in the name!) to get some photos with the cityscape in the background and a few outdoor photos. It was an unseasonably warm day for February in Wisconsin, but we still froze our toes off! Being that close to the lake is always a touch colder and the wind wouldn’t let up a bit, but we got some wonderful engagement photos nonetheless. I’m thankful for couples who are as relaxed as Cortney and Dereck! 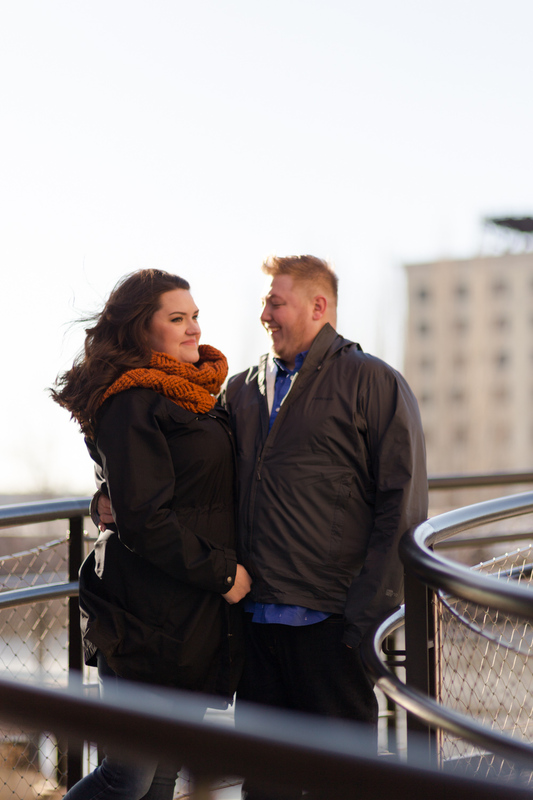 From the details I’ve heard so far, their wedding in just a few short months is going to be an amazing way to kick off my wedding season for the year.